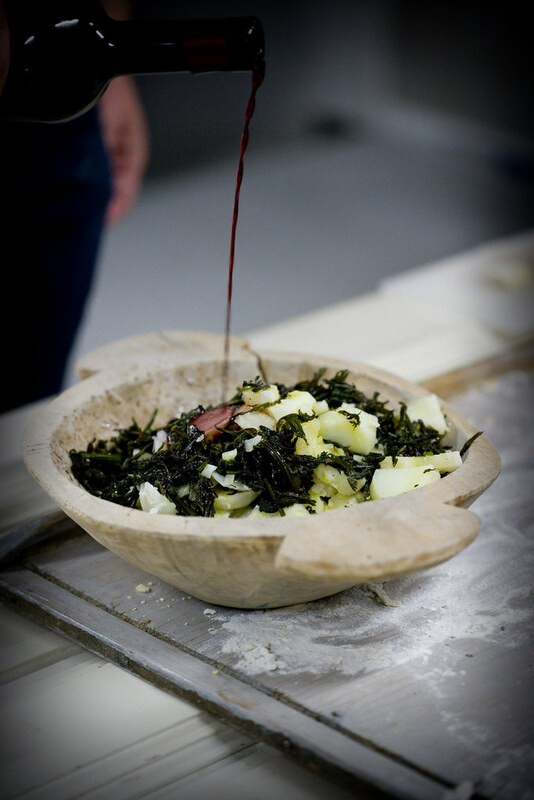 …like this salad, delicious in its simplicity: steamed potatoes with nettle, hop and red wine. – Poisonous plants doesn’t necessarily taste bad. So be careful, especially with plants that look like parsley or carrot sprouts. If you are not sure what they are it is better to avoid them. We all sit on the grass and taste pieces of a delicious bacon that he brought. Sour weed (hr. kislica) has an acidic taste similar to pickled cucumbers. So, wrap a good bacon in kiselica and get a tasty and healthy finger (even functional?) food that can be served on an elegant reception or just enjoyed during a hiking trip. Legend says Achilles used the following plant to treat battle wounds. 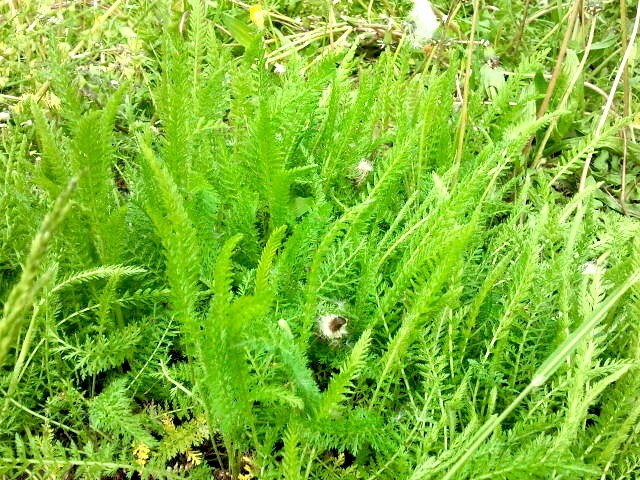 Yarrow (hr. 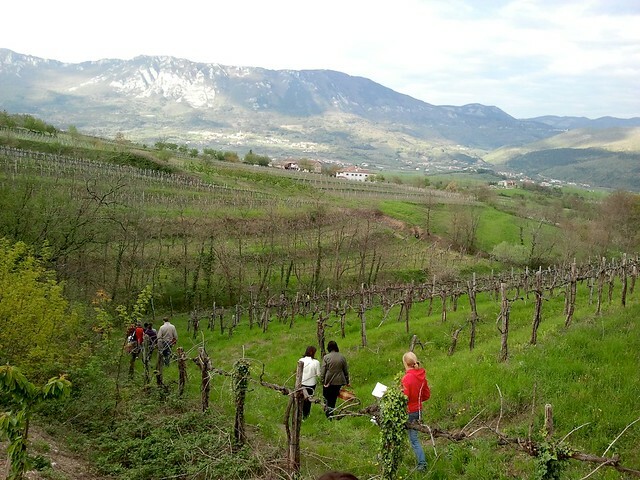 stolisnik, hajdučka trava) is usually used as medicinal plant with a powerful astringent effect. Thus, it is used topically for wounds, cuts and abrasions. But, it is also a great vegetable: use it as spice in soup, maneštra and omlettes or add it to fatty foods since it helps digestion. We also encountered one of the most abundant and widely used medicinal plant in the world. 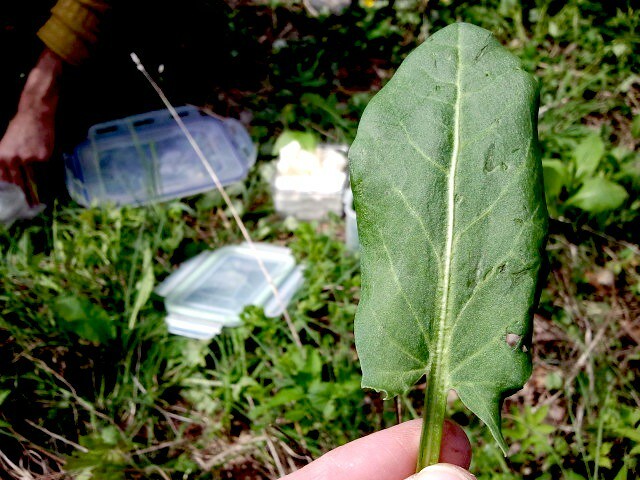 It is broadleaf plantain (hr. 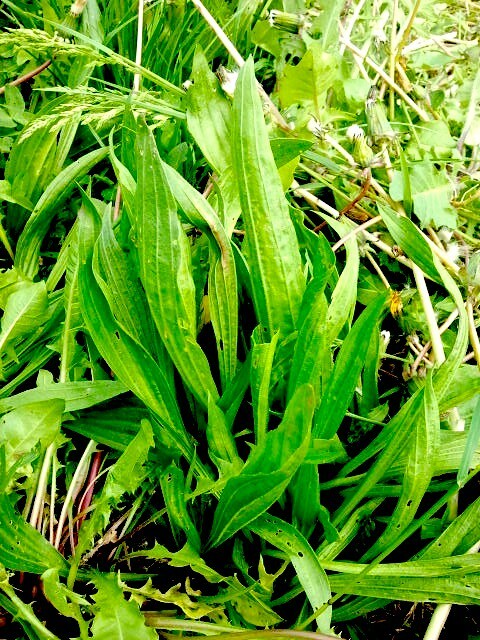 trputac), the main ingredient in many cough syrups but its young leaves are also edible as a salad green. A plant that totally blew my mind is Salad burnet (hr. dinjica, mala krvara, lat. Sanguisorba minor). It has an intense aroma of sweet melon and cucumber and, thus, it is great for aromatizing sparkling water or some wine based cocktail. Unfortunately I didn’t took photo of it. 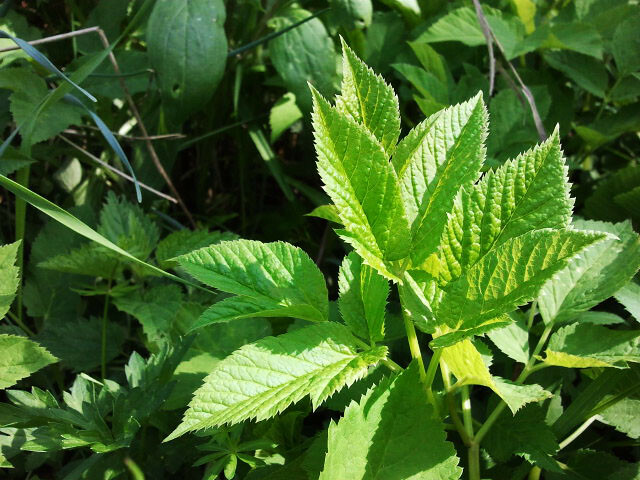 Ground elder (hr. sedmolist) has citrus aroma, goes well with hazelnuts and walnuts. Mixed it with nettle and Garlic mustard and stuff a roasted chicken with. 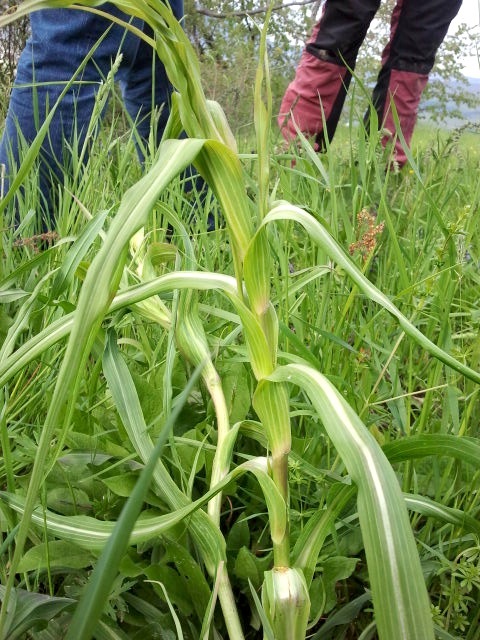 For the end, we were lucky to find one of the most delicious wild edible plant, an indigenous plant suitable for use in Asian inspired dishes. It is meadow salsify (hr. 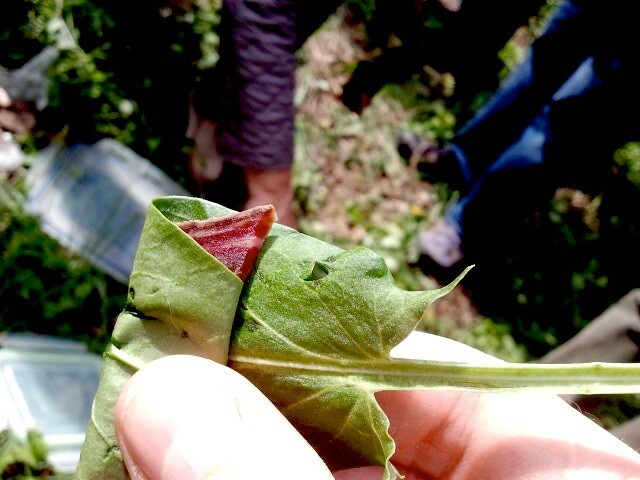 livadska kozja brada) whose leaves, shortly steamed, are great as a salad green while its young sprouts can be eaten raw. Of course, I tried them immediately and trust me, they are delicious. 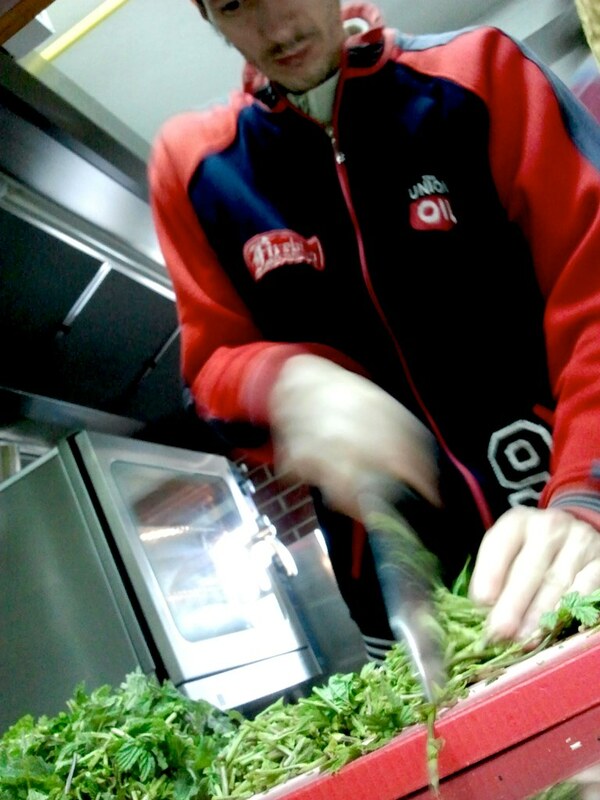 The sprouts taste bamboo shots which is not surprising since the plant looks like a small bamboo. 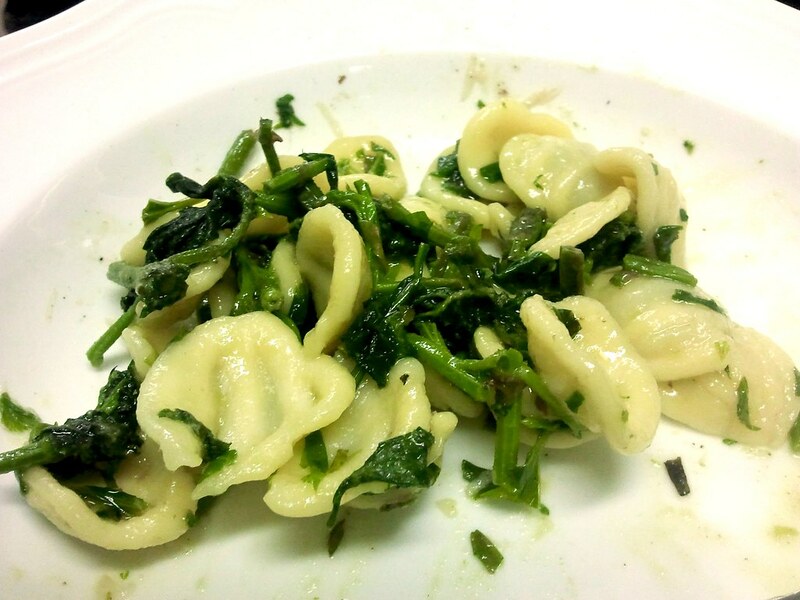 First course: orechiette with hop briefly sauteed with bacon and mustard seed oil. …and gives it the final touch with dead nettle flowers. Beautiful! Second course: scrambled eggs with nettle, hop and dead nettle flowers. 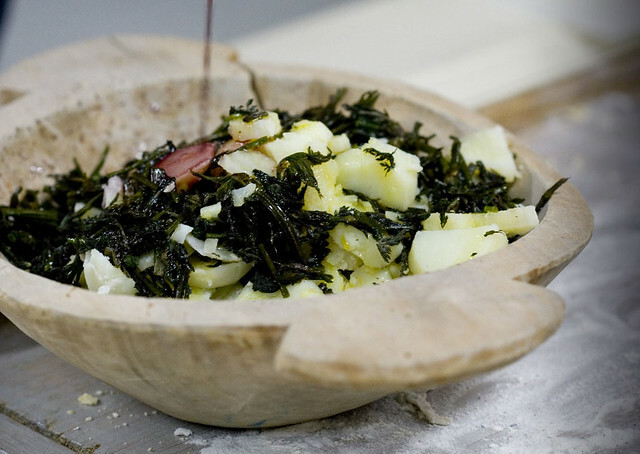 The eggs are accompanied by dead simple salad made with steamed potatoes, raw hop and raw nettle rubbed between the palms. The salad was spiced up with garlic mustard that brought that nice onion/garlic flavor, olive oil, salt, pepper and – surprise – not vinegar, because it would kill the subtle taste of these plants. 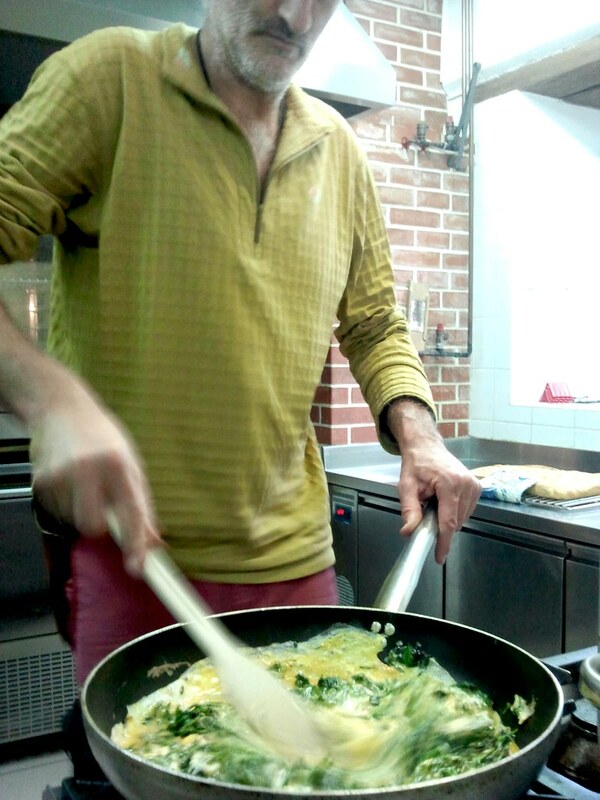 Instead, Dario poured in plenty of red wine! 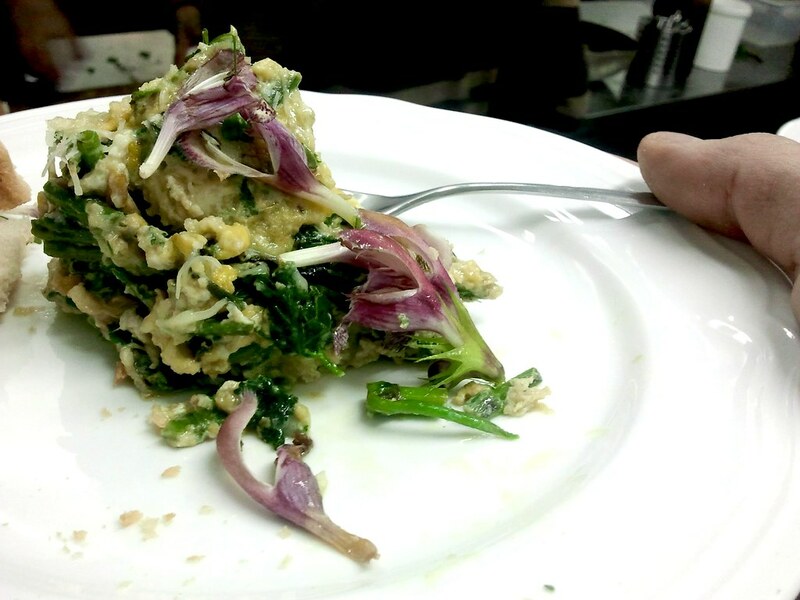 This dish was stunning in its simplicity and purity of flavors, the flavors I have never tried before. I can’t wait to join a similar workshop somewhere in my native Istria where, of course, many of the plants I mentioned here doesn’t grow. Please let me know if you hear about such workshop. At the end of the day, these three outstanding dishes we ate in Majerija proved me that knowing how to forage the wild edible plants is not useful only for those interested in wilderness survival techniques or in their beneficial health effects. Even if you are a pure hedonist, I am sure these miraculous plants will open you a door to a parallel gastronomic universe, a territory unfairly abandoned by our parents but very well known to our grandparents. Thank you Dario! Thank you Matej! Wow the dishes sound and look amazing! I’d love to try all of those herbs, especially the salad burnet!